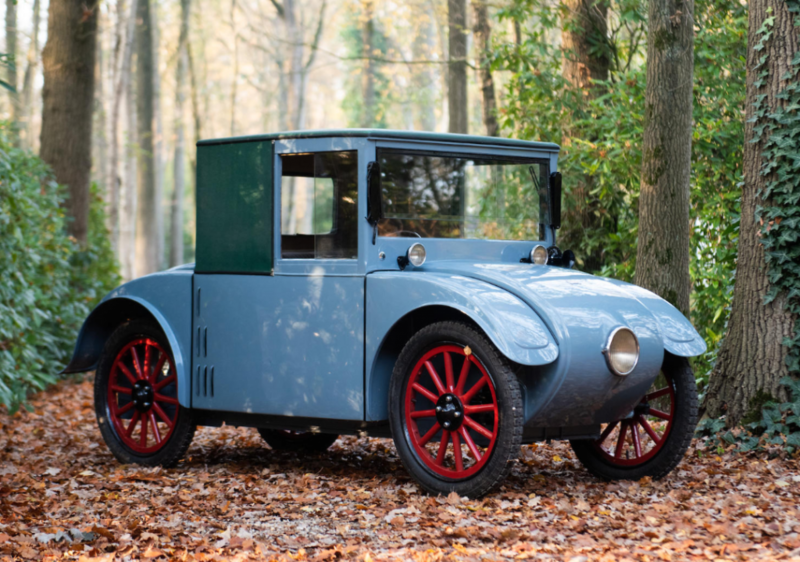 D’Yrsan was a manufacturer of small cyclecars that was founded in 1923 by Raymond Siran de Cavanac. The company built three and four-wheeled light cars and remained in business through 1930. They even entered a car in the 1929 24 Hours of Le Mans. It did not do well. A 972cc Ruby inline-four is mounted up front and requires a hand-cranked start to get going. The car has chain drive powering the lone rear wheel. The bodywork is interesting, as the driver sits slightly forward of the passenger, and the rear of the car tapers to a nice point. Do not rear end this car, or you will be speared. 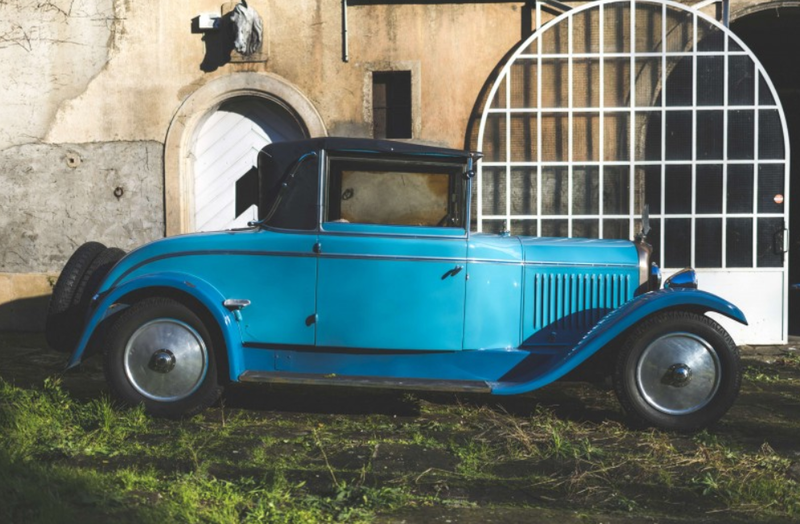 This example was sold new by the company’s British importer and was recently restored. Only 530 three-wheeled cars were built by D’Yrsan (and only 50 four-wheelers). This one actually looks really nice and should bring between $40,000-$50,000. Click here for more info and here for more from this sale. Hanomag actually dates back to the 1830s when they were making steam engines and eventually farm equipment. In 1871 the company name became Hannoversche Maschinebau AG, which is where “Hanomag” comes from. Their first true “vehicles” were built in 1905 and they were steam powered trucks. Their first automobile was the 1925 2/10PS, the car you see here. The nickname “Kommissbrot” translates to “loaf of rye bread” because of its shape, which, let’s be honest, is kind of alien. You can tell it’s old. But can you really place a date on a car that looks this unique? Power is from a 503cc single-cylinder engine that was connected to the rear wheels via chain drive. They were produced through 1928 and could be had as a coupe or convertible, and 15,775 were built, though there aren’t many left. Hanomag continued to build cars up until WWII, when they turned to trucks, and truck production continued under the Hanomag-Henschel brand through 1974. This example was restored as needed over time and has been in a Belgian collection since 1991. It should sell for between $17,000-$23,000. Click here for more info and here for more from this sale. Here’s a fancy Hudson from the Hostetler Hudson Auto Museum in Shipshewana, Indiana. The Model O was produced by Hudson in 1927 and 1928. 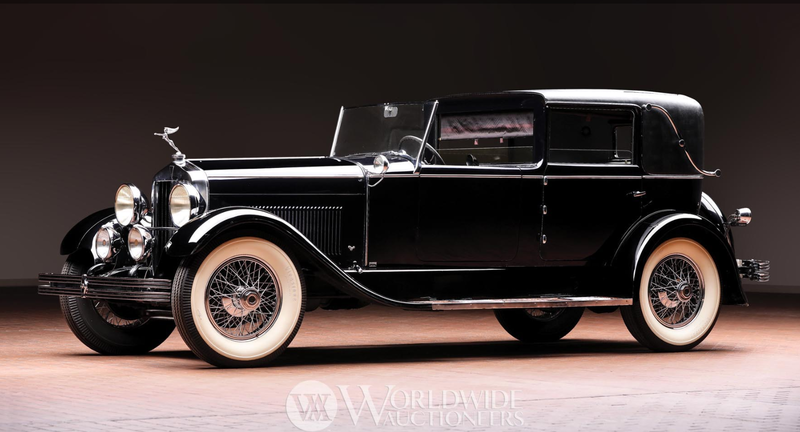 They offered five body styles from the factory, but the car you see here is a one-off coachbuilt Town Car by the Walter M. Murphy Company of Pasadena, California. It is powered by a 4.7-liter straight-six that makes 92 horsepower. 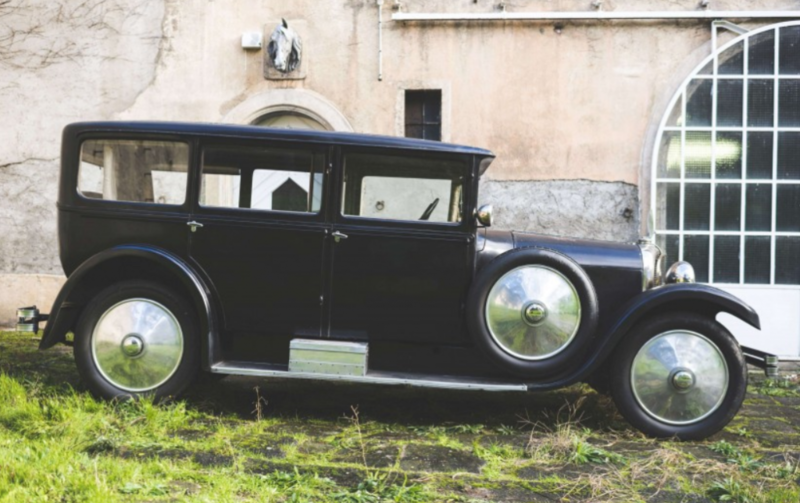 It might seem unusual to have custom coachwork affixed to a six-cylinder Hudson chassis, but the original owners were wealthy Columbus, Ohio, couple. And the Mrs. in that family had a brother who worked for Hudson. So you can probably imagine how this car came to be. As noted in the catalog, this car is titled as a 1928 model, but the chassis tag makes it pretty clear it was actually built in 1927. It is thought that the completion of the body likely occurred in 1928. 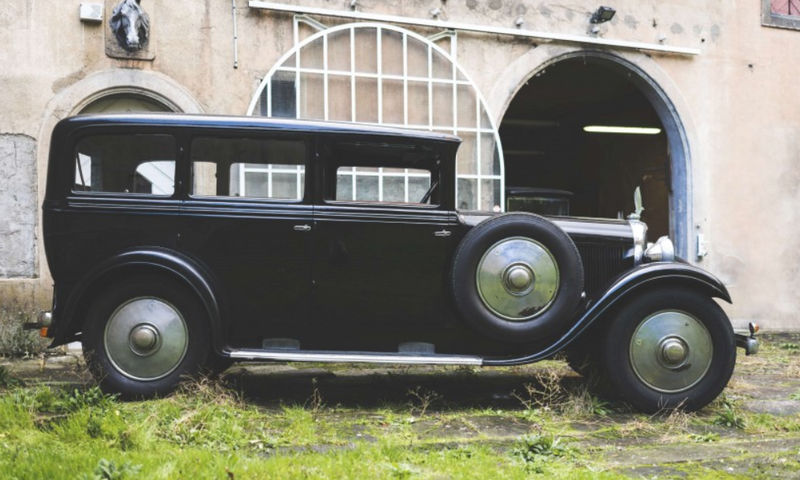 Dubbed the most expensive Hudson ever built – at the princely price of $13,500 in 1928 – this will likely be one of the bigger dollar cars at this sale. You can see more about this sale here and more about this particular Hudson here. Derby (pronounced dar-bee, because, you know, France Europe) was an automobile manufacturer based in Courbevoie, France, between 1921 and 1936. 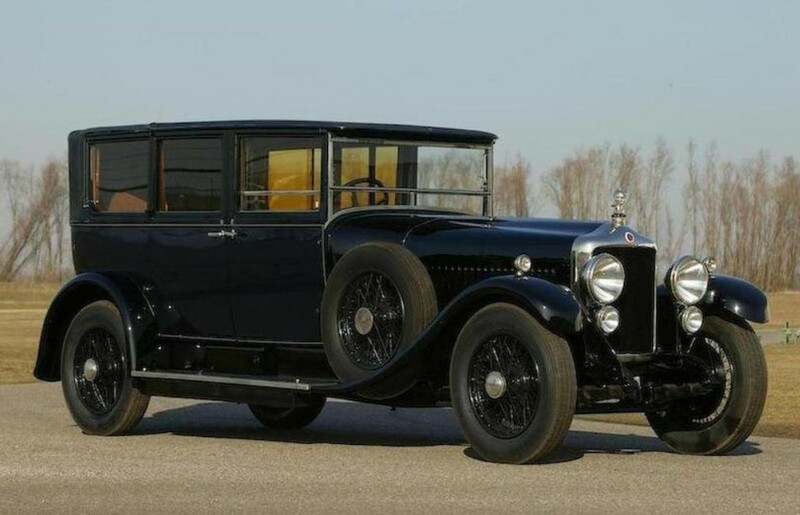 It is not to be confused with the “Derby Bentleys” – which were Bentleys produced at a factory in Derby, England. This French company was founded by Bertrand Montet and the first cars were powered by v-twin motorcycle engines. This car is powered by a four-cylinder engine and was sold alongside at least three other models, some of which featured six cylinders. Bertrand Montet died in 1928 and the company stood on shaky ground thereafter. Toward the end they were producing V-8 powered front-wheel drive cars. Production never gained enough steam to build any significant amount of cars. 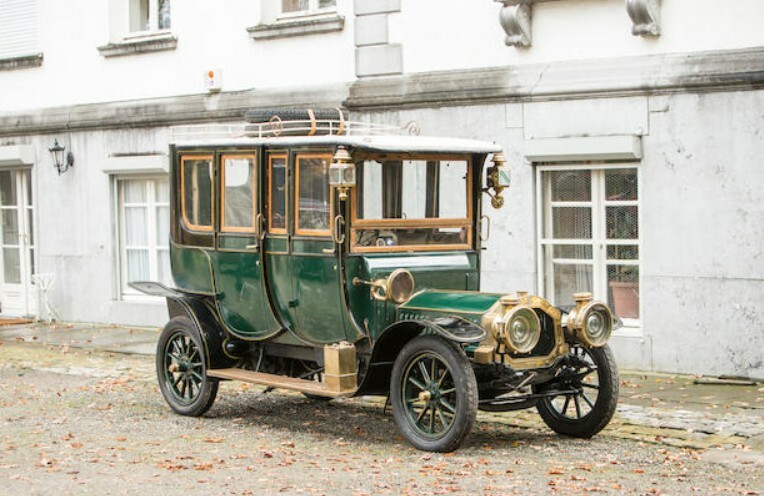 The company’s biggest years were in 1925 and 1926 when they built around 200 cars annually. Only about 50 survive worldwide today, with only a handful in the U.S. 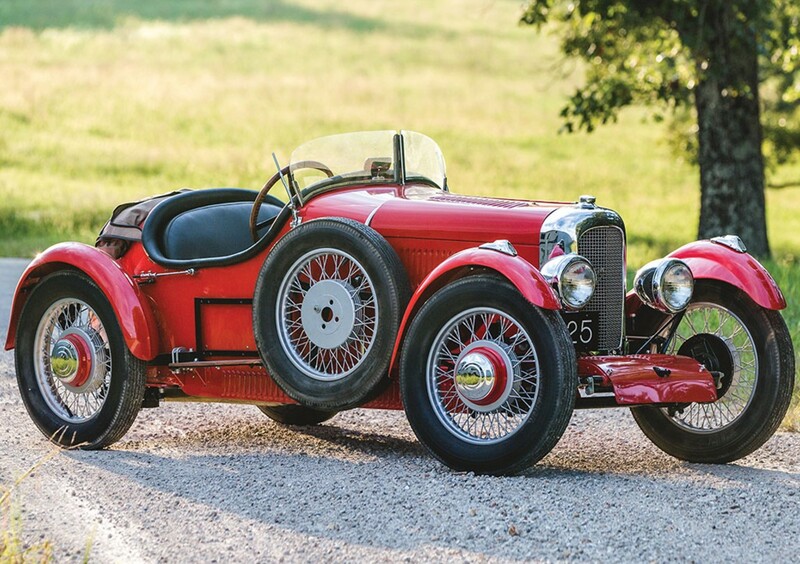 This sporty roadster is an comparatively affordable alternative to racy French cars from the likes of Bugatti, Rally, B.N.C., and Amilcar. To see more, click here. And to see more from RM Sotheby’s, click here. Bonhams has been killing it with their Beaulieu Sale the past few years. Because this time of year is so jam packed with great sales, we ended up doing this sort of thing last year too. So we’re going to squeeze four cars from the 20s (and one from the teens) to make sure we’re capturing the most interesting cars that we aren’t likely to see again for some time. 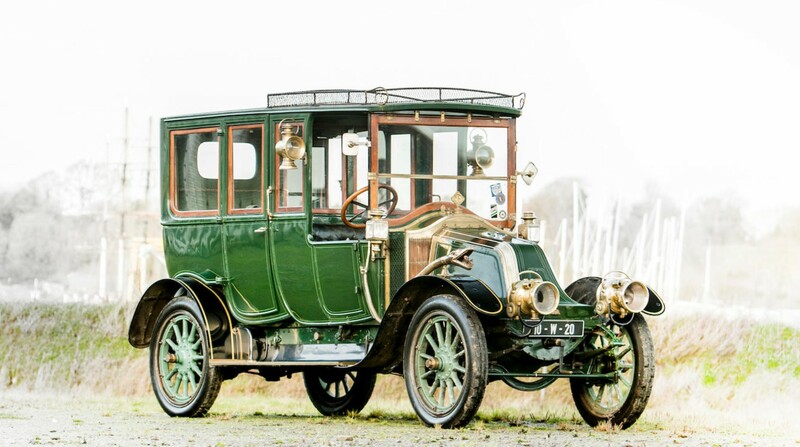 The British version of Daimler was founded in 1896 and actually lasted through the 2007 model year. 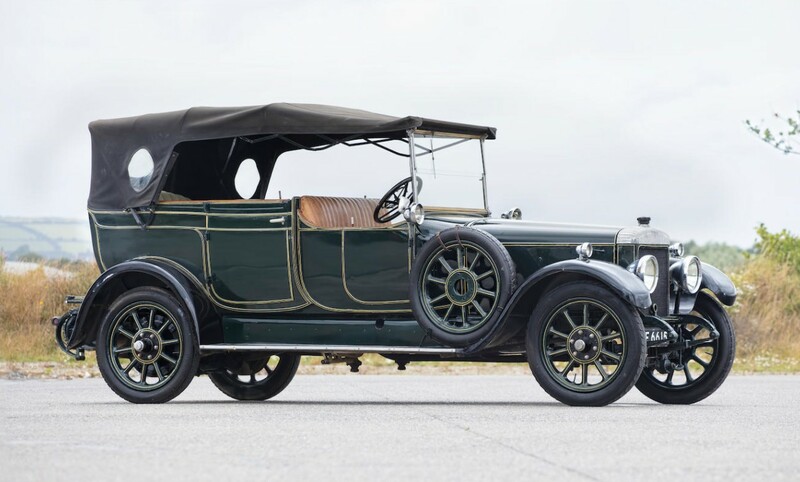 This large tourer from 1923 is powered by a 5.0-liter, sleeve-valve straight-six making 30 horsepower. 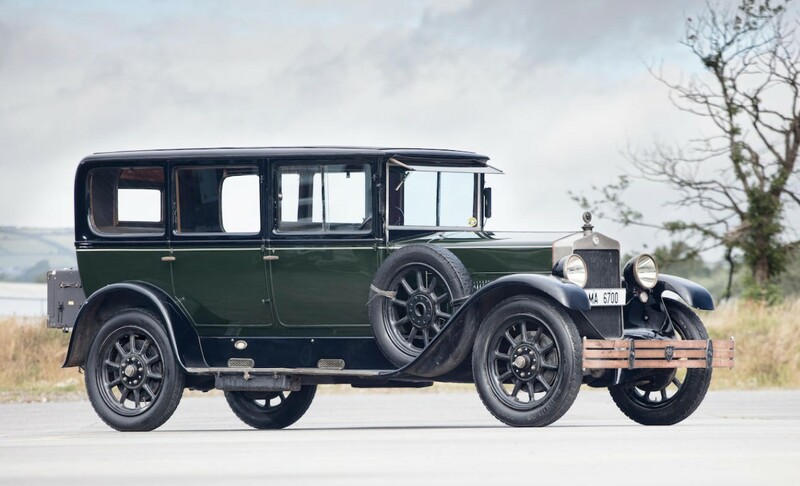 It’s a model that dates back to 1913, so I guess it was a little long-in-the-tooth a decade later – but you’d be hard pressed to tell as this six-seat tourer looks quite nice. The body is by Maythorn. The car does run and has been in present ownership since 1993. It should be a relatively affordable large classic as it carries a pre-sale estimate of $26,000-$32,000. Click here for more info. Bayliss-Thomas was a company that is primarily known for a brand of motorcycles called “Excelsior.” These are not the same Excelsior bikes made in the U.S., as this company was based in Coventry. In 1920 they decided to start building cars, but couldn’t use “Excelsior” and had to settle for their corporate name, Bayliss-Thomas. 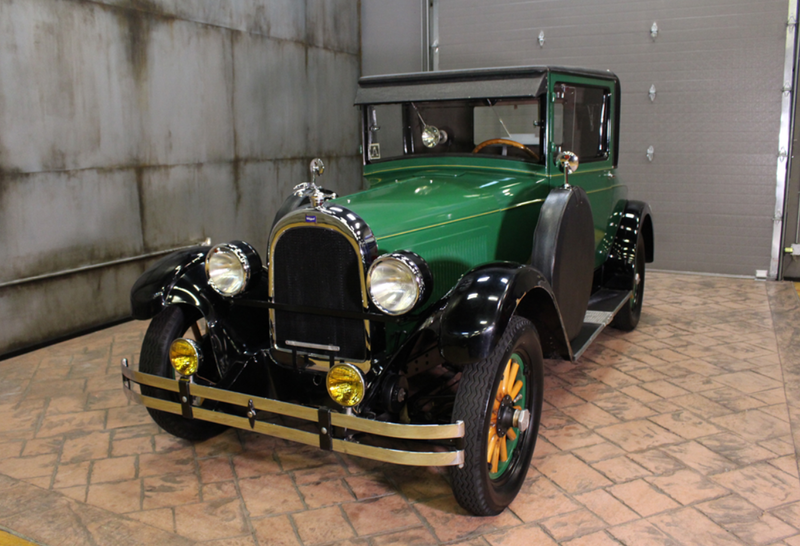 Produced only through 1929, the company managed to churn out just over 1,000 cars in a 10 year span. Introduced in 1925, the 12/27 featured a 27 horsepower 1.5-liter Meadows straight-four and a three-speed gearbox. Five body styles were offered with this Sports Tourer being among the smallest. This example has been on static display at the National Motor Museum, Beaulieu, since 1974. It has been slowly restored but is not currently running. It’s certainly a rare car that isn’t seen often. In this state it should bring between $10,000-$15,000. Click here for more info. 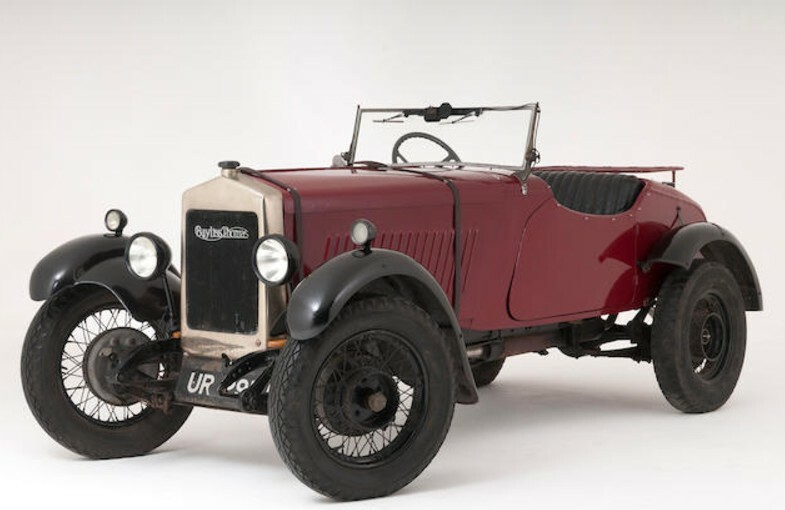 Bonhams features a lot (like, really a lot) of old Vauxhalls over the course of a year. And this site has been ignoring them for too long. These cars are highly sporty and very popular in their native Britain. 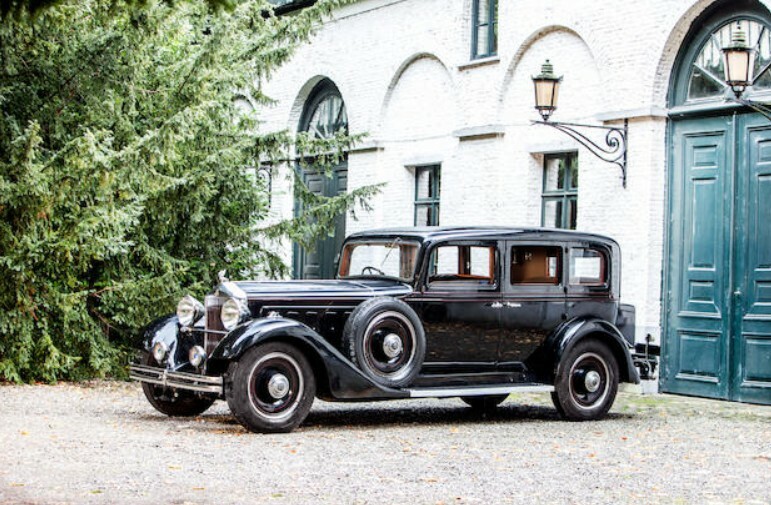 It is said that this model is favored over 3-Litre Bentleys of the period. The 30/98 was first introduced in 1913, designed primarily for competition. Most were built after WWI ended and this particular sub-model, the OE, started finding homes in 1923 (and it lasted through 1927). The engine by this point was a 4.2-liter straight-four that actually made 110 horsepower. The chassis is described as “lightweight” – or lightweight for 1925. This car can comfortably cruise at modern highway speeds – and then some, with racing models capable of over 100 mph. Even with the adoption of four-wheel brakes for the OE, the design was quite dated by the time it went on sale. Only 312 examples of the OE 30/98 were built. This four-seat Velox tourer was bodied in-house and looks as if it was aimed squarely at the competition from Bentley. Imported from Australia decades ago, the current owner acquired this car in 2012 and performed a fresh restoration. 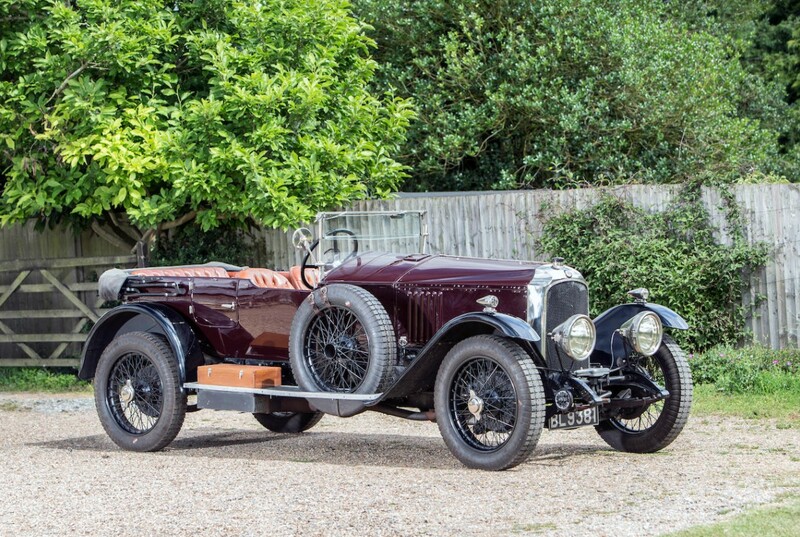 This sporty piece of British motoring history should bring between $280,000-$330,000. Click here for more info. When one thinks of old Italian cars, it’s easy to think of just things that are sporty or just things that are small. But there were also big sedans – just like those from France, the U.K., and America. In fact, Fiat’s Tipo 510 was the biggest car they built at the time. 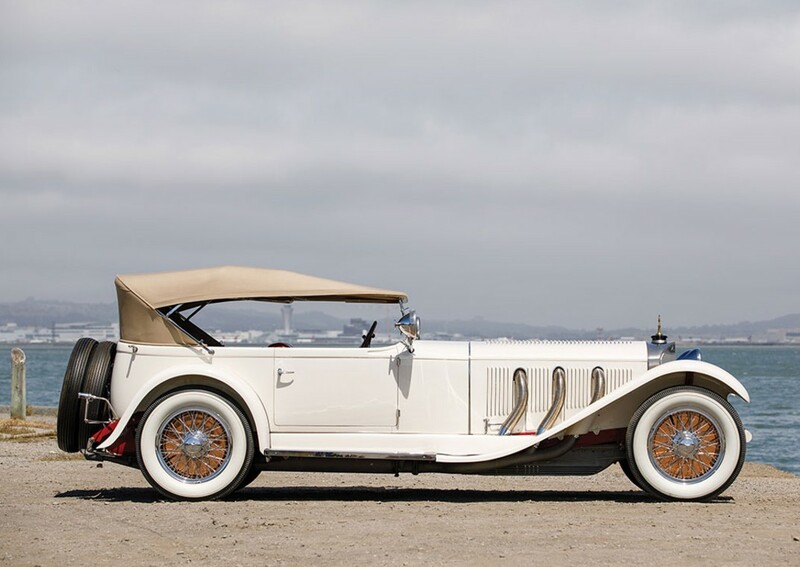 It was available for the 1920 through 1925 model years. The engine is a 3.4-liter straight-six making 46 horsepower (or 53 if you had the upgraded “S” version). Top speed in this version is about 60 mph. The “S” also had a shorter wheelbase, as Fiat offered the standard 510 in just one length. This example was sold new to Denmark and the current owner acquired it in 2001. It’s been cared for by conscientious owners its entire life. One of the last 510s built (of about 14,000 total), this big Fiat should bring between $26,000-$32,000. Click here for more info. Calcott Brothers started building bicycles in 1886 and, like many other bicycle manufacturers, turned to motorcycles – for them in 1904. The next logical step, cars, followed in 1913. The marque was acquired by Singer in 1926 and phased out after the head of the company passed away. 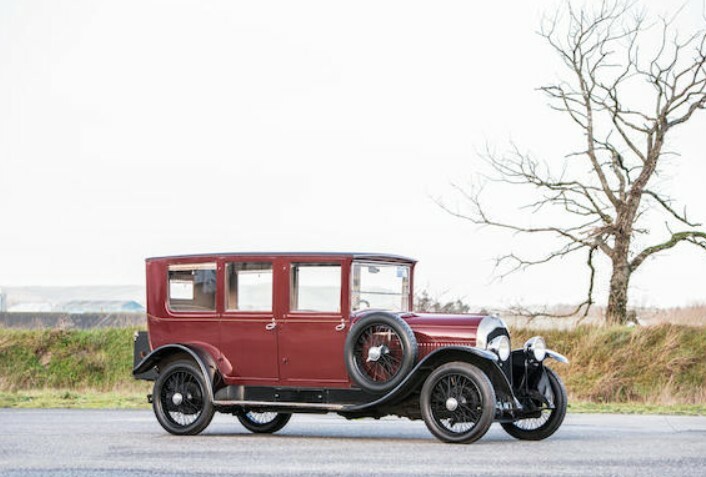 Bonhams is actually offering three different Calcott cars in this sale. This 10.5HP model is an example of the first model the company produced. Introduced in 1913, these were built through 1917. It’s powered by a 1.5-liter straight-four making, you guessed it, 10.5 horsepower. 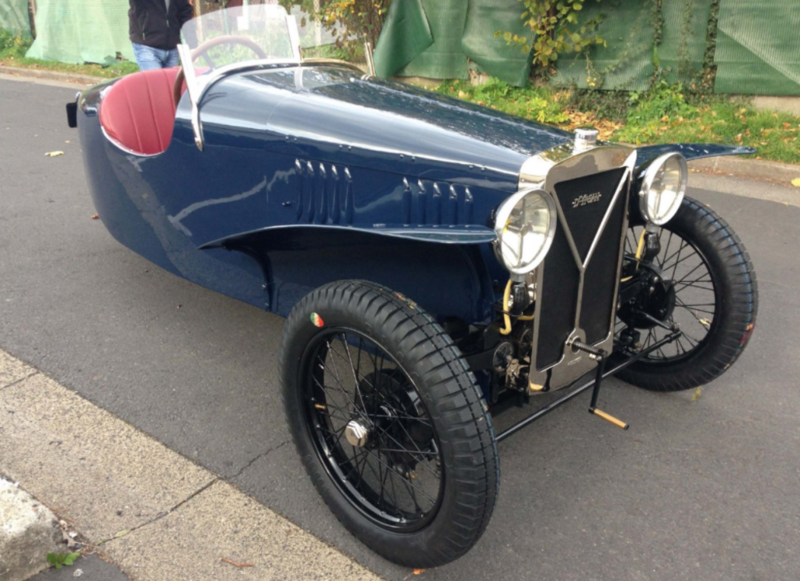 Most Calcotts were light cars and this one is quite pretty in bright blue with matching rims. This ex-museum car has been in storage since 2015 and needs a little work to make it roadworthy, but it’ll be worth it. It should bring between $19,000-$26,000. Click here for more info and here for more from this sale. 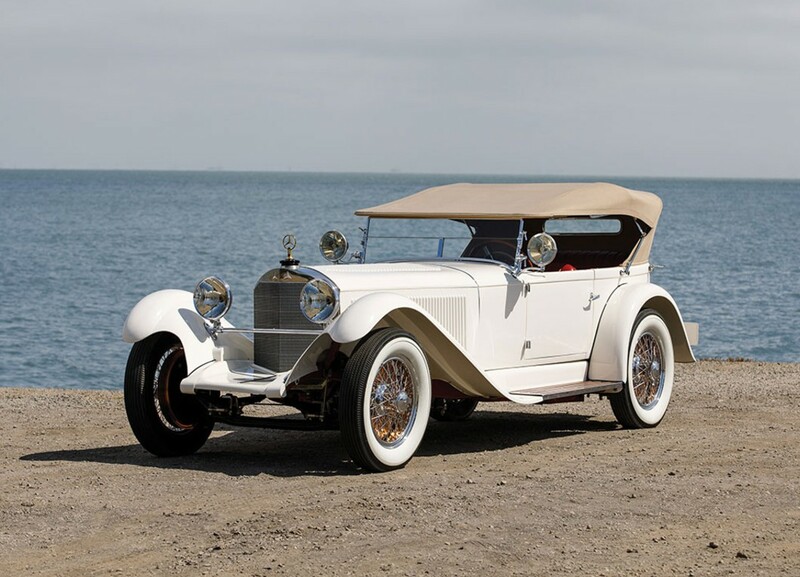 Produced only through 1929, the company managed to churn out just over 1,000 cars in a 10-year span. Introduced in 1925, the 12/27 featured a 27 horsepower 1.5-liter Meadows straight-four and a three-speed gearbox. Five body styles were offered with this Sports Tourer being among the smallest. This example has been on static display at the National Motor Museum, Beaulieu, since 1974. It has been slowly restored but is not currently running. It’s certainly a rare car that isn’t seen often. In this state, it should bring between $10,000-$15,000. Click here for more info.